di Hammer. An Italian translation is available here. Craig Covert is a former NCIS Special Agent who was deployed to the Pentagon a few days after 9/11 as a first responder. 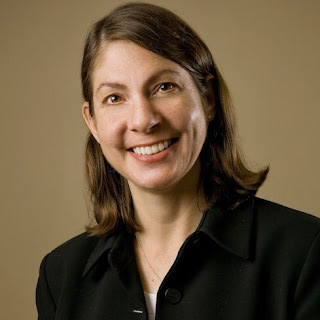 To discuss the events of that day and the following months, Craig Covert accepted our proposal for an interview which we are offering our readers today. We would like to thank Craig Covert for his availability and willingness to help. Undicisettembre: Can you give us a general account of what you saw and experienced on 9/11? Craig Covert: On 9/11 I was a Special Agent with the NCIS, the Naval Criminal Investigative Service, in Washington DC. That morning, I was visiting the Israeli Embassy in Washington DC in preparation for the arrival of a Official dignitary from Israel the following morning, September 12th. While we were there, the Israeli Embassy chief came into the room and asked “Have you seen what happened? 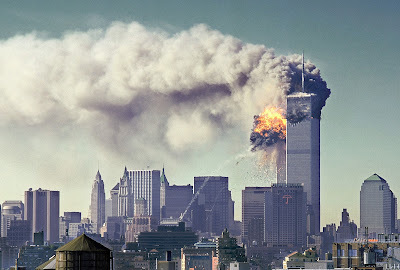 A plane just crashed into the World Trade Center.” My fellow coworker from NCIS and I watched the news in the embassy and when the second plane hit, we knew the dignitary visit was going to be canceled and that we had to get back to work immediately. I don’t recall if the Pentagon was hit before or after we left the embassy, but it was on fire as we headed back to work. We headed straight back, knowing that we were likely going to be sent to the Pentagon to be on site for whatever was to come. Undicisettembre: What happened in the next days? Craig Covert: As law enforcement Special Agents, we knew we were going to be involved in one way or another. When we got back to the office there was mass confusion both in the office and in reality, throughout the entire DC government. It didn’t matter whether you worked for the FBI, NCIS, secret service; everybody was terribly confused. We didn’t know how to react, as there were still reports of other possible aircrafts in the air. We were all just scrambling to try and figure out what to do next. More importantly, we knew we had to go to the Pentagon because of our profession as NCIS agents and our connection to the military, since we work for the Department of the Navy. NCIS has a very robust crime scene response team, and the team was assembled quickly. Pretty much all of the team members were sent to the Pentagon, not knowing initially what we were going to be doing. Regardless, we were already on stand-by until it was determined by higher powers what needed to be done and what our job was going to be in the aftermath of the crash. Undicisettembre: What happened once you were sent to the Pentagon? Craig Covert: I was sent to the Pentagon about three days later because there was nothing we could do as investigators until the fires were put out in the building. We tried to figure out a plan on what to do, but the government was in complete confusion. We had agents standing outside NCIS headquarters in the first few days with machine guns in case there was another attack on the facility. Nobody really knew what to do or if there was more coming. So it took three or four days for the agency to come up with a plan. Once we, initial responders, were sent to the Pentagon, we met with all of the other various federal agencies, state and local law enforcement agencies, rescue squads, and Fire Departments that were all responding to the Pentagon crash scene. For the first six or seven days it was still too unstable to go inside. The fire department was in charge of putting out the fires and shoring up the building in the damaged areas so the first responders could enter the building and conduct recovery efforts. Initially, the Fire Department personnel were the only ones conducting rescues and body recovery, but everyone quickly realized that there weren’t going to be many if any survivors found once the fires were put out. Most of the survivors had gotten out on the first day. From the aircraft itself, there were no intact bodies, just pieces. In addition to the aircraft victims, there were some Pentagon employees that were killed, and most of them were retrieved once the Fire Department had put out the fires and agents on the different search teams started combing through the crash scene. 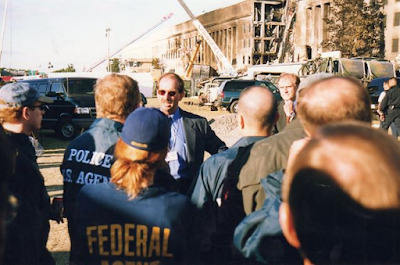 Our team began going into the building roughly a week after 9/11, intending on doing search and rescue, but it was more or less simply body recovery, as no one survived the crash itself, and any employees inside the building anywhere near the impact site were clearly dead. The recovery effort quickly turned into an effort to collect evidence and other items from the scene. Once everybody was aware there were going to be no other survivor found, we started focusing our search for human remains, wreckage pieces, anything possibly related to the incident like knives, box-cutters, or things like that which could help prove what the news had already started to presume in their reporting - that the hijackers perhaps used box-cutters and knives during their on-board attacks. Our mission was to retrieve the human remains first and foremost, and after that it became a recovery of items. I was on a day-shift team; there were hundreds of agents and first responders at the Pentagon, all were law enforcement, fire and rescue or government employees of one sort or another. The NCIS personnel were divided into two teams; I was one of two day-shift team leaders, with Erin Betro serving as the second team leader. My team consisted of roughly a dozen agents from NCIS, OSI, and a few active duty military personnel. Once the fires were out, there was no way we could continue to go into the building and stay safe, as it was too dark and dangerous inside the building to do a practical recovery of parts and evidence. I assume it was the FBI Command Center, which was in charge of the overall effort, who determined that the best way to handle it would be to bring in bulldozers, excavators and dump trucks. 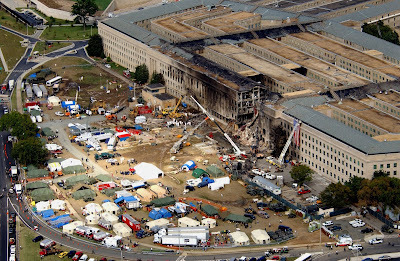 The plan was to scoop the rubble from the impact site into the dump trucks and move the rubble from the building to the Pentagon’s north parking lot, which was on the opposite side of the impact area when looking at the Pentagon from above. The trucks would dump the rubble into what we all called the rubble pile. Hourly, teams would go through the rubble pile and begin clearing their individual piles. How effective each team was, I’m not sure, as other agencies have different training in conducting crime scene exams, and perhaps are not as thorough as NCIS when searching through the minutia. Regardless, before any rubble pile was searched, ATF would send in bobcats (front end loaders) to knock down the rubble pile, after which we would drag by hand or by machine all the desks, ductwork, large concrete pieces, rebars and building remnants, thus leaving only the smaller rubble and personal effects behind. Everything was wet from the days of putting out fires, and it truly was a messy job. Initially we were searching by hand for body parts, using hand rakes and shovels to assist us, but eventually the body parts started to rot and we had to bring in cadaver dogs to go through the pile and assist us with finding the human remains, as it became impossible to pinpoint where the smell was coming from. In addition to human remains, we were searching for personal effects of the airplane passengers and the Pentagon employees who were killed, such as wallets, pictures, keys... anything that we knew were personal effects belonging to the victims. We were also tasked with looking for classified material. The plane struck a part of the Pentagon that housed a SCIF, a secured site holding classified material, so thousands of classified documents were scattered all over the place. NCIS in particular was very concerned with that information getting out, so one of our primary concern was gathering up as much of the classified material that was scattered among the debris and wreckage that we could. Unfortunately, few law enforcement agencies besides NCIS and OSI knew what to look for in order to identify the documents that were classified. I have a feeling a lot of highly classified and sensitive materials may have ended up at the landfill. Of course, we were also looking for any airplane pieces or parts, pieces of the fuselage, and anything that we found would be gathered up and separated. Lastly, we were looking for any sort of weapons, knifes or box cutters that might be in the rubble pile. We raked through the piles with hand-rakes after the cadaver dogs went in to find the victims; we went through each pile multiple times till we were certain that we had cleared the pile of those items: the body parts, the personal effects, classified materials, airplane wreckage and any potential weapon, before the remaining rubble was scooped back up and placed into the dump truck and taken off for disposal. That’s what we did for six weeks straight, twenty-four hours a day. Before we started removing the rubble out of the Pentagon to the North Parking lot, we were spending sixteen hours per day on scene, but eventually we got into a groove and a normal work schedule developed after which we worked 8 hour daily shifts. By the third week, we were no longer dressed in our simple work clothes. We were wearing full tyvek protective gear, masks and HEPA filters because not only had the body parts started to rot, but there were carcinogens and asbestos in the building material itself, which were dangerous and hazardous to health. Initially wearing just jeans and boots, we all ended up dressing out in what looked like space suits, basically, for the recovery efforts. Eventually after six weeks at the rubble pile, the scene was declared complete and we wrapped things up. At that point it became a salvage effort and was turned over to construction crews to at least temporarily patch up parts of the Pentagon before they could do the rebuilding process. I don’t know if the FBI or other federal agencies like the Pentagon Force Protection Agency stayed on scene or what else occurred after we left. Undicisettembre: Can you confirm the black box of American Airlines 77 was found by NCIS? Craig Covert: It was found during the night shift by what I believe was one of our NCIS teams. My friend and coworker who was with me at the Israeli Embassy on 9/11, Special Agent Greg Huska, was the person whom I recall said his team found the box. Like my team, it was a mixed agency team. There were NCIS agents, OSI agents and military personnel. All I know for sure is it was found by the night shift team and some of the NCIS agents were bragging about it, but I don’t know who specifically found the black box. Undicisettembre: Was anyone having doubts that a plane had hit the Pentagon? Craig Covert: No. Absolutely not. The Pentagon is located adjacent to the Arlington International Cemetery; the plane came in so low that it actually sheared off some of the light-poles that line the highway. There was a cab driver on whose car one of the light-poles landed on after the plane clipped it only a couple hundred yards from the point of impact. The plane hit the Pentagon so low that it left a hole in the outer ring and unbelievably part of the upper floors on a couple of the inner rings were still intact, almost creating what appeared to be a bridge above the impact site. Since the top floor was still intact above the impact hole, it was a danger to us because it was unstable and could potentially collapse. Someone brought in a crane in and knocked it down so we could go in there safely to remove the rubble. But there was no question and no doubt in anyone’s mind that a plane had hit. Initially there were airplane pieces all over the area between the Pentagon and the highway. There were wheels, the landing gear, and even large chunks of fuselage with windows still visible. Thousands of pieces of aircraft fuselage aluminum shards littered the area. The unmistakable smell of JP-4 or JP-5 jet fuel was ever present for several weeks. So, no. There was no doubt in anyone’s mind what had happened. On our very last rubble pile my team worked, I personally saw the throttle controls for the plane. They were in that pile. When we recovered human remains, they were usually no bigger than your hand: a finger, a piece of shoulder, a chunk of meat. The cadaver dogs went through and recovered 95% of the human remains, but occasionally you would find human remains while raking through the pile. You would pick something that would look like wet cardboard, because everything was wet and dirty from all the ash and water inside the Pentagon. While washing off the dirt, you would see hair and skin pores and realize the wet cardboard you thought you had found was someone’s skin. I found several human scalps and in one of the scalps was an airline flight attendant’s name-tag stuck in the hair. It’s hard to refute that came from an aircraft victim. We also found pieces of the pilot’s seat cover and the airplane’s throttle controls; my team retrieved those items the last week we were there. There was no mistake: a plane hit the Pentagon. Undicisettembre: Years after 9/11 you were also sent to Afghanistan. What was your duty there? Craig Covert: That was a separate duty. During most of my law enforcement career, I was also a Marine Corps reservist. During a military duty drill weekend, I was approached by a Superior at Camp Lejeune who asked “Hey, you are an agent aren’t you? You speak ‘special agent’, you speak ‘law enforcement’ don’t you? We need a liaison officer to the Drug Enforcement Agency, the DEA, in Afghanistan. Are you interested in deploying?” So that’s how I ended up in Afghanistan, coordinating anti-narcotics operations in Afghanistan with the DEA and the Marine Corps. 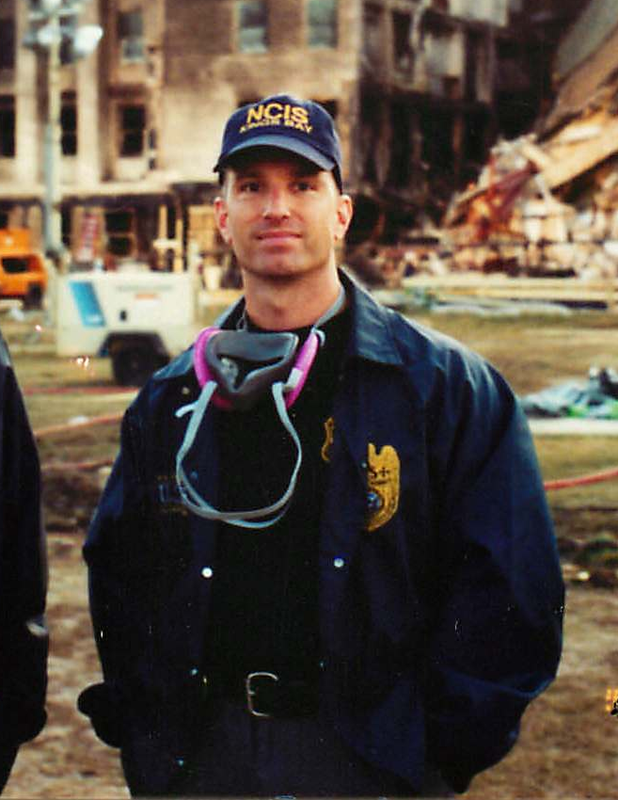 Undicisettembre: How did 9/11 affect the daily work of NCIS? Craig Covert: It radically changed not just the way NCIS conducted its business, but law enforcement overall. NCIS became much more anti-terrorism centric. We started developing high risk operational teams to do everything from protection details to counter-intelligence details, be that against foreign intelligence services or potential terrorists against the United States. We got involved with the FBI’s Joint Terrorism Task Force around the country, and I was even assigned to a JTTF in Hawaii for two years. So the agency became much more involved with the anti-terrorism efforts both domestically and internationally in conjunction with other agencies. Everyone changed their methodology. NCIS has agents at home, or who are stationed overseas, and even those on-board aircraft carriers; all of us faced radical changes in the ways we conducted law enforcement post 9/11. Things just changed, new groups formed to address counter-terrorism, new positions were created. It changed us but it changed everybody in federal law enforcement. Undicisettembre: What do you think about conspiracy theories according to which 9/11 was an inside job? Craig Covert: I just have to laugh. As a JTTF agent I was seeing information and threat reporting that the public doesn’t get to know or hear about. They have no idea of the real threats the United States faces on a daily basis. And when I hear about the conspiracy theorists who have no basis behind their thought process, I shake my head. They don’t work for agencies with access to this kind of information and are not privy to information that I have seen or that other federal agencies have seen or investigated. They are entitled to their misinformed and misguided decisions and opinions, but they are not based in reality. The reality is that there are people out there who want to kill us, who want to destroy the western way of life and it’s going to stay that way for the near future. All we can do is try and combat it, whether it’s behind the scenes without the public’s knowledge or in the open, before it reaches our shores again. Undicisettembre: How does 9/11 affect your personal life even today? Craig Covert: It made me more aware of the threats we face, particularly after being assigned to the JTTF the following year. It certainly made me aware that there’s much more that we, as federal law enforcement, do behind the scenes to thwart potential threats against the United States. It made me more aware of how much is going on to protect our own safety and to thwart the daily threats against our citizens than I would have ever known before 9/11. I never previously realized the level of threat we face. Most intelligence is only looked at or known by a small selected group of people in the intelligence community, the White House or high levels of government. But now that we are post 9/11, and many more agencies are involved in the effort to thwart terrorism, we are on better ground to combat those daily threats we face. The public may never be made aware of it, but these are dangerous times. Thank God for our law enforcement and intelligence communities. I didn’t have children back then, and at that time, I considered it the crime scene of a lifetime to be involved in. However, looking back on the matter, and considering I now look at it through the lens of a father, I can see how people with children were emotionally scarred. We had several agents who developed post traumatic stress disorder, so I know a lot of people were affected personally. I wouldn’t say I was affected personally, but again, it opened my eyes to the threats we face on a daily basis. Craig Covert è un ex agente speciale dell'NCIS che è stato inviato al Pentagono pochi giorni dopo l'11/9 come primo soccorritore. Per discutere gli eventi di quel giorno e dei mesi successivi, Craig Covert ha accettato la nostra proposta di un'intervista che oggi offriamo ai nostri lettori. Ringraziamo Craig Covert per la sua cortesia e disponibilità. Undicisettembre: Ci puoi fare un racconto di ciò che hai visto e vissuto l’11/9? Craig Covert: L’11/9 ero un agente speciale dell’NCIS, il Naval Criminal Investigative Service, a Washington. Quella mattina dovetti andare all'ambasciata israeliana a Washington in preparazione all'arrivo di un’autorità israeliana la mattina seguente, il 12 settembre. Mentre eravamo lì, il capo dell' ambasciata israeliana venne nella stanza e chiese “Avete visto cosa è successo? Un aereo si è appena schiantato contro il World Trade Center.” Io e il mio collega dell’NCIS guardammo il notiziario in televisione dentro l'ambasciata e quando il secondo aereo colpì, capimmo che la visita dell’autorità sarebbe stata cancellata e che avremmo dovuto tornare immediatamente al lavoro. Non ricordo se il Pentagono sia stato colpito prima o dopo che lasciammo l'ambasciata, ma stava bruciando quando stavamo tornando al lavoro. Tornammo subito indietro, sapendo che probabilmente saremmo stati mandati al Pentagono per essere sulla scena per qualunque altra cosa fosse successa. Craig Covert: Come agenti speciali delle forze dell'ordine sapevamo che saremmo stati coinvolti in un modo o nell'altro. Quando tornammo in ufficio c'era molta confusione sia nell'ufficio sia fuori, in tutto il governo di Washington. Non importava se lavoravi per l’FBI, per l’NCIS, per i servizi segreti; tutti erano terribilmente confusi. Non sapevamo come reagire, perché c'erano voci di un altro aereo in avvicinamento. Ci agitavamo per capire cosa dovevamo fare. Sopra ogni cosa, sapevamo che saremmo dovuti andare al Pentagono per via del nostro lavoro come agenti dell’NCIS e per i nostri legami con i militari, perché lavoriamo per il Dipartimento della Marina. L’NCIS ha una squadra di risposta alla scena del crimine molto forte, e la squadra fu assemblata velocemente. Più o meno tutti i membri della squadra furono mandati al Pentagono, all'inizio senza sapere cosa avremmo fatto. Indipendentemente da ciò, eravamo già in stand-by finché non fu deciso da poteri superiori cosa dovesse essere fatto e quale sarebbe stato il nostro incarico dopo lo schianto. Undicisettembre: Cosa successe dopo che sei stato inviato al Pentagono? Craig Covert: Fui mandato al Pentagono circa tre giorni dopo perché non c'era nulla che potessimo fare come investigatori prima che gli incendi fossero spenti dentro al palazzo. Provammo a ipotizzare un piano d’azione, ma il governo era in completa confusione. C'erano agenti con i mitragliatori fuori dal quartier generale dell’NCIS per i primi giorni in caso in cui ci fosse un altro attacco al nostro palazzo. Nessuno sapeva veramente cosa fare o se sarebbero arrivati altri attacchi. Quindi ci vollero tre o quattro giorni prima che l'agenzia producesse un piano. Quando noi primi soccorritori fummo mandati al Pentagono incontrammo altre agenzie federali, agenzie dello stato e forze dell'ordine locali, squadre di intervento e dipartimenti dei vigili del fuoco che stavano tutti rispondendo alla scena dello schianto al Pentagono. Per i primi sei o sette giorni era troppo instabile per poter entrare. Il dipartimento dei pompieri aveva l’incarico di spegnere gli incendi e di mettere in sicurezza il palazzo nelle zone danneggiate in modo che i primi soccorritori potessero entrare per le operazioni di salvataggio. Inizialmente i pompieri erano gli unici che potevano fare operazioni di soccorso e recupero dei cadaveri, ma tutti capirono presto che non ci sarebbero stati troppi sopravvissuti dopo che gli incendi fossero stati spenti. La gran parte dei sopravvissuti era uscita il primo giorno. Dall'aereo stesso non c'erano corpi intatti, solo pezzi. Oltre alle vittime dell'aereo c'erano dipendenti del Pentagono che furono uccisi, e molti di loro furono recuperati dopo che il dipartimento dei pompieri spense gli incendi e che gli agenti di diverse squadre di ricerca iniziarono a rastrellare la scena del crimine. La nostra squadra iniziò ad andare nel palazzo circa una settimana dopo l’11/9 allo scopo di fare ricerca e salvataggio, ma fu quasi solo recupero dei cadaveri, perché nessuno era sopravvissuto allo schianto, e tutti i dipendenti dentro all'edificio nelle vicinanze della zona dell'impatto erano ovviamente morti. L'operazione di soccorso si trasformò presto in un'operazione di raccolta delle evidenze e di altri oggetti dalla scena. Una volta che tutti erano consapevoli che non avremmo trovato altri sopravvissuti, iniziammo a concentrare la nostra ricerca sui resti umani, sulle macerie, su qualunque cosa che fosse relativa all'attacco come coltelli, taglierini, o cose di questo genere che potessero aiutare a dimostrare ciò che i notiziari stavano già riportando, cioè che i dirottatori probabilmente avevano usato dei taglierini e dei coltelli per gli attacchi sugli aerei. La nostra missione era di ritrovare i resti umani prima di tutto, dopodiché divenne un'operazione di raccolta di oggetti. Io ero in una squadra che faceva il turno diurno; c'erano centinaia di agenti e primi soccorritori al Pentagono, erano tutti delle forze dell'ordine, pompieri o soccorritori di qualche ente governativo. Il personale dell’NCIS era diviso in due gruppi; io ero il capo di una delle due squadre diurne, mentre Erin Betro era il capo della seconda squadra. La mia squadra era composta di circa dodici agenti dell’NCIS, dell'OSI [United States Air Force Office of Special Investigations, N.d.T.] e alcuni militari in servizio. Una volta che gli incendi furono spenti, non fu possibile entrare nel palazzo ed essere al sicuro, era troppo buio e pericoloso dentro al palazzo per fare un vero recupero di oggetti e di prove. Credo che sia stato il Centro di Comando dell’FBI, che era responsabile di tutta l'operazione, che decise che il modo migliore per gestire la situazione sarebbe stato portare dei bulldozer, degli escavatori e camion per i rifiuti. Il piano era di caricare tutte le macerie dalla zona dell'impatto nei camion e portarle dal palazzo al parcheggio nord del Pentagono che era sul lato opposto dell'area dell'impatto guardando il Pentagono dall'alto. I camion avrebbero poi scaricato le macerie in quello che noi chiamavamo la pila delle macerie. Ogni ora, le squadre avrebbero frugato la pila delle macerie, ognuna per iniziare a smaltire la propria. Non so quanto fossero efficaci le squadre perché diverse agenzie hanno preparazioni diverse nel condurre gli esami della scena del crimine, e molte non hanno le competenze dell’NCIS quando esaminano le minuzie. Indipendentemente da ciò, prima che ogni pila fosse frugata, l’ATF mandava dei bobcat (macchine operatrici con la pala frontale) per abbassare la pila, dopodiché potevamo cercare a mano o con delle macchine per trovare tavoli, tubature, grandi pezzi di cemento, armature del cemento e pezzi di palazzo, lasciando quindi solo le macerie più piccole e gli effetti personali. Tutto era bagnato perché erano giorni che cercavano di spegnere gli incendi, ed era veramente un lavoro caotico. Inizialmente cercavamo parti di cadavere a mano, usando rastrelli e pale, ma alla fine i pezzi di cadavere iniziarono a marcire e dovemmo portare dentro i cani da cadavere affinché cercassero nella pila e ci aiutassero a cercare resti umani, perché era impossibile capire da dove arrivava l'odore. Oltre ai resti umani cercavamo effetti personali dei passeggeri dell'aereo e dei dipendenti del Pentagono che rimasero uccisi, come portafogli, foto, chiavi... qualunque cosa che sapevamo essere effetti personali delle vittime. Avevamo anche l'incarico di cercare del materiale segretato. L'aereo colpì una zona del Pentagono che ospitava uno SCIF [Sensitive Compartmented Information Facility, N.d.T], un'area sicura che contiene materiale riservato, quindi migliaia di documenti segretati erano sparsi ovunque nella zona. L’NCIS in particolare era molto preoccupato per la possibile fuga di informazioni, quindi uno dei nostri scopi principali era raccogliere più materiale segretato possibile sparso tra le macerie. Sfortunatamente, poche agenzie delle forze dell'ordine oltre all’NCIS e all’OSI sapevano cosa cercare per trovare i documenti che erano stati segretati. Credo che molto materiale strettamente segretato e sensibile possa essere finito nella discarica. Ovviamente cercavamo anche pezzi dell'aereo, pezzi della fusoliera, e qualunque cosa potessimo trovare che potesse essere raccolto e separato. In ultimo, cercavamo qualunque tipo di arma, coltelli o taglierini che potessero trovarsi nella pila dei detriti. Rastrellammo la pila con rastrelli dopo che i cani da cadavere avevano cercato le vittime; frugammo ogni pila numerose volte finché non eravamo sicuri di averla ripulita di questi oggetti: le parti di cadavere, gli effetti personali, il materiale segretato, pezzi di aereo e armi potenziali, prima che il resto della pila fosse caricato e portato via dai camion per essere smaltito. Facemmo questo per sei settimane di fila, 24 ore al giorno. Prima che iniziassimo a spostare le macerie dal Pentagono al parcheggio nord passavamo sedici ore al giorno sulla scena, ma infine trovammo il ritmo e un piano di lavoro normale con il quale lavoravamo in turni da otto ore. Entro la terza settimana non eravamo più vestiti in abiti normali da lavoro. Avevamo tutte protettive di tyvek, maschere, filtri HEPA perché non solo parti di cadavere iniziavano a marcire ma c'erano anche agenti cancerogeni e amianto nel palazzo che sono pericolosi per la salute. All'inizio indossavamo solo jeans e stivali, ma poi finimmo per essere equipaggiati con quelle che sembravano tutte spaziali per il lavoro di recupero. Infine, dopo sei settimane alla pila di detriti, la scena fu dichiarata completata e chiudemmo i lavori. A quel punto divenne un lavoro di recupero che fu trasferito almeno temporaneamente alle squadre di costruzione perché mettessero in sicurezza parti del Pentagono prima che cominciasse la ricostruzione. Non so se l'FBI o altre agenzie come il Pentagon Force Protection Agency rimasero sulla scena e cosa successe dopo che noi ce ne andammo. Undicisettembre: Puoi confermare che la scatola nera del volo American Airlines 77 è stata trovata dall’NCIS? Craig Covert: Fu trovata durante un turno di notte credo da uno dei nostri team dell’NCIS. Il mio amico e collega che era con me all'ambasciata israeliana l’11/9, l'agente speciale Greg Huska, era la persona che ricordo aver detto che la sua squadra trovò la scatola nera. Come la mia squadra, era una squadra di agenzie miste. C'erano agenti dell’NCIS, agenti dell’OSI e personale militare. Ciò che so di sicuro è che fu trovata durante il turno notturno e che alcuni agenti dell’NCIS se ne vantavano, ma non so nello specifico chi lo trovò. Undicisettembre: Qualcuno aveva dei dubbi che un aereo avesse colpito il Pentagono? Craig Covert: No. assolutamente no. Il Pentagono è posizionato vicino al cimitero internazionale di Arlington; l'aereo arrivò così basso che abbatté alcuni semafori lungo l’autostrada. Ci fu un tassista la cui automobile fu colpita da uno dei semafori dopo che l'aereo lo abbatté a circa 180 metri dal punto dell'impatto. L'aereo colpì il Pentagono così in basso che lasciò un buco nell'anello più esterno e incredibilmente parte dei piani superiori e un paio di anelli all'interno erano ancora intatti, creando quello che quasi sembrava essere un ponte sopra la zona dell'impatto. Siccome il piano più in alto era ancora intatto sopra la zona dell'impatto, era pericoloso per noi perché era instabile e poteva potenzialmente crollare. Qualcuno portò una gru e l'abbatté in modo che potessimo entrare per rimuovere le macerie. Ma nessuno dubitava che un aereo avesse colpito. Inizialmente c'erano pezzi di aereo per tutta l'area tra il Pentagono e l'autostrada. C'erano ruote, il carrello, e anche grossi frammenti della fusoliera con le finestre ancora visibili. Migliaia di pezzi della fusoliera dell'aereo sparsi nella zona. L'inconfondibile odore del carburante avio JP-4 o JP-5 rimase nell'aria per molte settimane. Quindi no. Nessuno dubitava di ciò che era successo. Nell'ultima pila di detriti su cui la mia squadra lavorò, vidi personalmente i comandi dell'aereo. Erano in quella pila. Quando recuperavamo resti umani, di solito erano grandi come una mano: un dito, un pezzo di spalla, un pezzo di carne. I cani da cadavere cercavano e trovarono il 95% dei resti umani, ma saltuariamente trovavamo resti umani mentre rastrellavamo la pila. Raccoglievamo pezzi che sembravano cartone bagnato, perché tutto era bagnato e sporco per via della cenere e dell'acqua che c'erano dentro al Pentagono. Quando lo lavavamo dello sporco, vedevamo che c'erano peli e pori della pelle e capivamo che quel pezzo di cartone che ci sembrava di aver trovato era la pelle di qualcuno. Trovai molti scalpi umani e in uno di questi scalpi c'era la targhetta con il nome di un’assistente di volo incastrato nei capelli. È difficile negare che quello fosse di una vittima dell'aereo. Trovammo anche pezzi del rivestimento del sedile del pilota e i comandi dell'aereo; la mia squadra raccolse quegli oggetti l'ultima settimana che eravamo lì. Non ci fu nessun errore: un aereo colpì il Pentagono. Undicisettembre: Anni dopo l’11/9 sei stato inviato in Afghanistan. Che incarico avevi lì? Craig Covert: Un incarico diverso. Durante gran parte del mio lavoro nelle forze dell'ordine, fui anche un riservista della Marina. Durante un’esercitazione della Marina in un weekend fui avvicinato da un superiore a Camp Lejeune e mi disse “Tu sei un agente speciale, vero? Ti intendi bene con gli agenti speciali e le forze dell'ordine, vero? 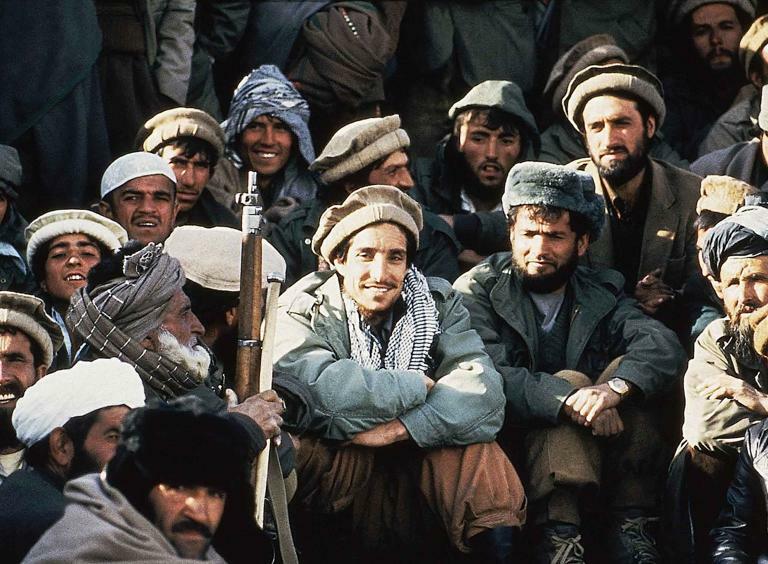 Abbiamo bisogno un ufficiale di collegamento con la DEA, in Afghanistan. Ti può interessare?” Quindi finii per essere mandato in Afghanistan, a coordinare le operazioni antidroga tra la DEA e la Marina. Undicisettembre: L’11/9 come condiziona il lavoro quotidiano dell’NCIS? Craig Covert: Cambiò radicalmente non solo il modo in cui l’NCIS conduceva le proprie operazioni, ma tutte le forze dell'ordine. 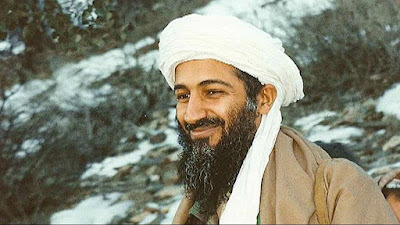 L’NCIS divenne molto più orientato al terrorismo. Iniziamo a sviluppare squadre operazionali ad alto rischio per fare tutto dalla protezione al controspionaggio, sia quella contro l’intelligence di paesi esteri o riguardo a potenziali attacchi terroristici contro gli Stati Uniti. Fummo coinvolti nella Joint Terrorism Task Force dell’FBI in ogni parte della nazione, e io fui assegnato a un gruppo della JTTF alle Hawaii per due anni. Quindi l'agenzia divenne molto più coinvolta nelle attività antiterroristiche sia internamente che a livello internazionale insieme ad altre agenzie. Tutti cambiarono la loro metodologia. L’NCIS ha agenti negli Stati Uniti, o dislocati in altri stati, e anche a bordo degli aerei di linea; tutti noi abbiamo affrontato cambiamenti radicali nel modo in cui abbiamo svolto il lavoro delle forze dell'ordine dopo l’11/9. Le cose cambiarono, furono formati i nuovi gruppi per affrontare l’antiterrorismo, furono create nuove posizioni. Ci cambio ma cambiò chiunque altro nelle forze dell'ordine. Undicisettembre: Cosa pensi delle teorie del complotto secondo cui l’11/9 sarebbe stato un autoattentato? Craig Covert: Mi fanno ridere. Da gente della JTTF ho visto informazioni e comunicazioni di minacce che il pubblico non conosce o di cui non sente. Non hanno idea di quali siano le vere minacce che gli Stati Uniti affrontano giornalmente. E quando sento queste teorie della cospirazione che non hanno fondamenti dietro ai loro ragionamenti, scuoto la testa. Non lavorano per agenzie che hanno accesso a questo tipo di informazioni e non vengono messi al corrente di informazioni che io ho visto o che altre agenzie hanno visto o investigato. Hanno diritto alle loro decisioni e opinioni disinformate e mal direzionate, ma non sono basate sulla realtà. La realtà è che ci sono persone là fuori che vogliono ucciderci, che vogliono distruggere il modo di vita occidentale e sarà così nel prossimo futuro. Tutto ciò che possiamo fare è provare a combatterlo, che sia lontano dalle scene senza che il pubblico lo sappia o apertamente, prima che giunga da noi un'altra volta. Craig Covert: Mi ha reso più consapevole delle minacce che affrontiamo, in particolar modo dopo essere stato assegnato alla JTTF l'anno dopo. Sicuramente mi rese consapevole che c'è molto che noi, come agenzia federale, facciamo dietro le scene per contrastare potenziali minacce contro gli Stati Uniti. Mi ha reso più consapevole di ciò che succede per proteggere la nostra stessa salvezza e per contrastare le minacce giornaliere contro i nostri cittadini che non avrei mai immaginato prima dell’11/9. Non avevo mai capito prima il livello della minaccia che affrontiamo. Gran parte dell'intelligence è svolta da un piccolo gruppo di persone selezionate nella comunità dell'intelligence, nella Casa Bianca o in alti livelli del governo. Ma ora che siamo nel post-11/9, e molte più agenzie sono coinvolte nello sforzo per ostacolare il terrorismo, abbiamo un terreno migliore per combattere queste minacce che affrontiamo tutti i giorni. Il pubblico può non essere mai messo al corrente di ciò, ma sono tempi pericolosi. Grazie a Dio abbiamo le nostre forze dell'ordine e le comunità di intelligence. Non avevo figli al tempo, la considerai la scena del crimine più importante della mia carriera. Comunque, ripensandoci, e pensando a come oggi lo valuto con gli occhi di un padre, posso capire come le persone che avevano figli sono stato emotivamente sconvolte. Abbiamo avuto molti agenti che hanno avuto stress post traumatico, e conosco molte persone che ne sono state colpite personalmente. Non posso dire di esserne stato colpito personalmente, ma di nuovo mi aprì gli occhi sulle minacce che affrontiamo tutti i giorni. Il giornalista saudita Jamal Khashoggi è scomparso a Istanbul il 2 ottobre del 2018 dopo essere entrato negli uffici dell'ambasciata del suo paese per ritirare dei documenti. Fuori dall'edificio lo aspettava la fidanzata Hatice Cengiz, cittadina turca, che in quel momento aveva con sé anche l'iPhone di Khashoggi in quanto all'interno dell'edifico diplomatico è vietato portare cellulari. La donna non vide mai Khashoggi uscire dall'edificio e ad oggi non è mai più ricomparso. 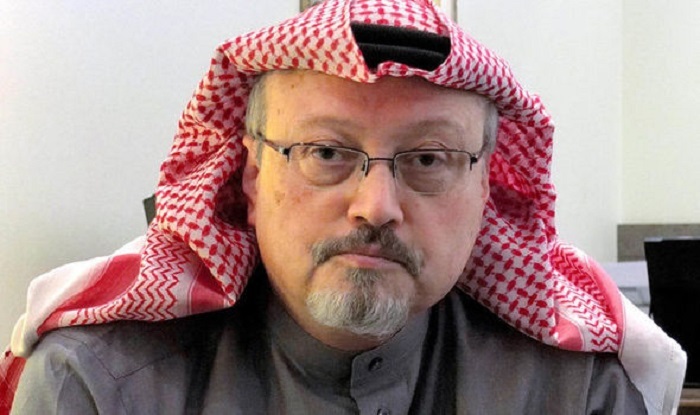 Secondo gli inquirenti turchi, Khashoggi sarebbe stato ucciso e smembrato all'interno dell'ambasciata. Gli ufficiali sauditi sostengono invece che l'uomo abbia lasciato il palazzo da un'uscita posteriore, ma la polizia turca ha ribadito che le telecamere di sicurezza non l'hanno mai ripreso uscire dall'edificio. Al momento l'ipotesi più probabile per lo smaltimento del cadavere è che il corpo di Khashoggi sia stato bruciato in un forno a casa del console saudita Mohammed al-Otaibi durante una festa organizzata apposta affinché l'odore del barbecue coprisse quello del cadavere di Khashoggi. Più recentemente un'indagine di al-Jazeera ha confermato che questa resta l'eventualità più plausibile. Il 16 novembre 2018 il Washington Post, giornale per il quale Khashoggi scriveva dall'anno prima, riportò le conclusioni delle indagini della CIA secondo cui il mandante dell'omicidio sarebbe il principe saudita Mohammed bin Salman. Il presidente americano Donald Trump ha dichiarato di non credere che il principe fosse a conoscenza di piani per l'uccisione di Khashoggi, ma le sue asserzioni sono state duramente criticate da membri del congresso di entrambi gli schieramenti. Il motivo per cui il governo saudita avrebbe deciso di commissionare l'uccisione di Jamal Khashoggi starebbe nelle posizioni critiche che il giornalista aveva preso nei confronti del governo. Khashoggi aveva infatti criticato l'intervento militare saudita in Yemen, la crisi diplomatica con il Qatar e quelle con Libano e Canada. Poco dopo l'11/9 Jamal Khashoggi scrisse alcuni articoli sulle errate identificazioni dei dirottatori da parte dell'FBI, sugli errori dovuti a omonimie e traslitterazioni errate e sul fatto che la famiglia di Hani Hanjour sulle prime non credesse che il loro congiunto fosse uno dei dirottatori. Inoltre il giornale Arab News di cui Khashoggi era vice capo redattore riportò la testimonianza del padre dei fratelli Wail e Waleed al-Shehri, due dei dirottatori del volo American Airlines 11, che metteva in dubbio il fatto che i suoi figli facessero parte del gruppo dei diciannove dirottatori. Questi articoli vengono spesso citati dai complottisti per sostenere le teorie secondo cui gli uomini identificati come i dirottatori sarebbero in realtà ancora vivi. Secondo i complottisti, quindi, Jamal Khashoggi stava indagando su un mistero che doveva rimanere nascosto. Negli ultimi mesi i complottisti hanno spesso avanzato ipotesi sulla morte di Khashoggi secondo cui il giornalista stava per rivelare indicibili segreti proprio sull'11/9. Qualcuno, con uno sforzo di fantasia ancora maggiore, ipotizza che il giornalista sia stato eliminato nell'ambito di una cospirazione contro la sua famiglia che ha portato anche alla morte di Lady Diana, in quanto Jamal Khashoggi era cugino di Dody al-Fayed: la madre di al-Fayed, Samira Khashoggi, era la sorella di Ahmad Khashoggi, padre del giornalista, e del milionario e trafficante di armi Adnan Khashoggi. Ovviamente i complottisti non si accorgono di quanto queste teorie siano autocontradditorie. Se l'Arabia Saudita avesse voluto ridurre Jamal Khashoggi al silenzio per le sue indagini sull'11/9 lo avrebbe fatto nel 2001 e non diciassette anni dopo. La morte di Lady Diana risale a ventun'anni prima della morte di Khashoggi e questa seconda ipotesi non è meno assurda della prima. Va in ogni caso notato che Jamal Khashoggi non credette mai alle teorie della cospirazione sull'11/9 e che in seguito ai primi articoli ne scrisse altri in cui confermava che la lista dei dirottatori comunicata dall'FBI era completa e corretta e che l'ex capo dell'intelligence saudita, il principe Turki bin Faysal Al Sa'ud che lasciò l'incarico dieci giorni prima dell'11/9, confermava che gli indizi contro la colpevolezza di Osama bin Laden erano solidi e credibili e prendeva con forza le distanze da al-Qaeda. Khashoggi nel suo scritto commenta anche con il principe Turki un articolo di quest'ultimo pubblicato dal giornale panarabo Asharq al-Awsat in cui il principe saudita lanciava un violento monito contro bin Laden. La terribile vicenda di Jamal Khashoggi dimostra ancora una volta la tendenza dei complottisti a selezionare gli indizi che sembrano favorire le loro teorie, ma il quadro generale li smentisce anche in questa occasione mostrando quanto siano deboli le loro argomentazioni. Lo scorso 20 febbraio il gruppo di hacker noto come The Dark Overlord ha rilasciato la chiave di decifrazione del terzo lotto dei documenti trafugati a studi legali e compagnie assicurative riguardo agli attentati dell'11/9. Questo nuovo rilascio segue altre due pubblicazioni di altrettanti lotti di documenti pubblicati a gennaio, in totale i pacchetti dovrebbero essere cinque di importanza crescente. Mentre in passato gli hacker avevano pubblicato i loro annunci su Twitter, Pastebin, Steempeak, Mspsteem, Busy e Partiko (su cui l'account di The Dark Overlord è ancora attivo), in questa occasione sono tornati tornati a utilizzare Pastebin ma con un account diverso in quanto il precedente era stato chiuso. Inoltre il portafoglio bitcoin indicato in quest'ultimo post è diverso da quello indicato in precedenza e questo secondo portafoglio non ha mai ricevuto denaro in ingresso. Tutto ciò potrebbe far pensare che quest'ultima comunicazione non sia opera di The Dark Overlord ma di un gruppo di impostori, eppure la chiave rilasciata funziona davvero nella decifrazione del terzo lotto e quindi il post sembra autentico. In ogni caso, The Dark Overlord ha raccolto fin qui molto meno di quanto previsto per il rilascio del secondo lotto di documenti, eppure ha deciso di pubblicare anche il terzo. Al momento in cui scriviamo, non ricevono pagamenti almeno dal 15 gennaio. Evidentemente nessuno sta pagando per ottenere i documenti, né i legittimi proprietari, né altri interessati ad averli. Probabilmente ciò di cui gli hacker sono entrati in possesso non è poi così importante o compromettente. Nel Layer 3 sono contenuti circa 8000 documenti che, anche in questo caso, confermano la ricostruzione comunemente accettata dei fatti e smentiscono le teorie della cospirazione. Dai documenti emerge infatti che alcuni avvocati dei querelanti hanno fatto notare come i metal detector installati all'aeroporto Logan di Boston, da cui partirono i due voli che distrussero il World Trade Center, non funzionavano correttamente e che un'ispezione dell'FAA ne aveva trovati alcuni guasti. Il personale aeroportuale non fu l'unico a manifestare lacune nei controlli; infatti la United Airlines e l'American Airlines ricevettero multe fino a più di tre milioni e mezzo di dollari nei dodici mesi prima degli attentati per falle nelle procedure di sicurezza. Inoltre il personale di terra non era stato adeguatamente formato sulle minacce rappresentate dal terrorismo e non conosceva in modo approfondito le linee guida di sicurezza emanate dall'FAA. Mentre The Dark Overlord pubblica i documenti senza raggiungere gli obiettivi economici prefissati, i complottisti raccolgono la loro ennesima delusione. Agli hacker restano da pubblicare due lotti di documenti, intanto restiamo in attesa di sapere se secondo i teorici del complotto anche The Dark Overlord fa parte della cospirazione. di Hammer. La prima e la seconda parte di questo articolo sono disponibili qui e qui. 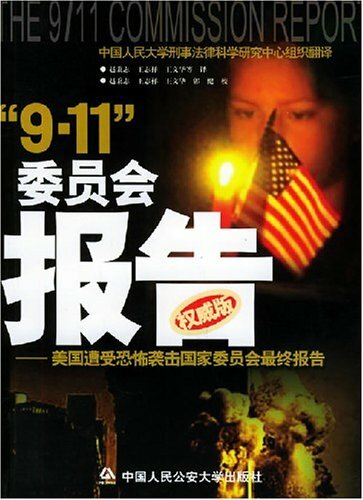 La prima traduzione in cinese del 9/11 Commission Report è stata pubblicata nel 2004 ad opera del giurista Zhao Bingzhi. Zhao è noto in Cina per la sua attività professionale in campo legale, al punto che esiste una pagina su di lui su Wikipedia in cinese. È stato fino al 2018 professore dell’Università Normale di Pechino e presidente della facoltà di legge e del Criminal Law Scientific Research Institute. Nel 2018 è stato rimosso dall'incarico all'ateneo dopo che, nell'ambito di un'indagine contro la corruzione nel partito comunista cinese a cui l'uomo è iscritto, sono emerse foto indecenti che l'ex docente aveva scattato. Contestualmente al licenziamento, Zhao è stato posto in libertà vigilata. Il settimanale cinese Economic Observer ha tentato di contattare Zhao per un commento, ma non ha ottenuto risposta. L'Epoch Times ha commentato in relazione a questa vicenda come le denunce di molestie sessuali nelle università cinesi siano aumentate negli ultimi anni. Nonostante le vicende giudiziarie, il curriculum di Zhao Bingzhi è comunque notevole. L'ex docente ha pubblicato una lunghissima serie di testi accademici in ambito legale e criminalistico, ha collaborato con l’Università di Duke e ha partecipato a vari progetti di ricerca con università di Francia, Giappone e Hong Kong. La traduzione di Zhao del 9/11 Commission Report si intitola 9•11委员会报告:美国遭受恐怖袭击国家委员会最终报告权威版, sulla copertina è riportato comunque anche il titolo inglese The 9/11 Commission Report. Il testo è integrale ed è introdotto da una prefazione del traduttore stesso. 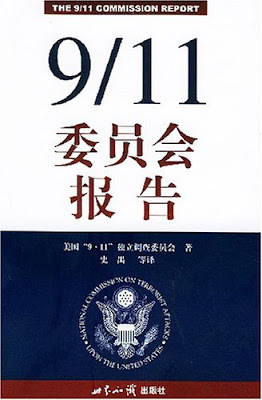 La seconda traduzione in cinese del 9/11 Commission Report è stata pubblicata nel 2005 con il titolo 9/11委员会报告 e anche in questo caso sopra al titolo in cinese è riportata la scritta The 9/11 Commission Report. L’autore della traduzione è Shi Wei, professore della scuola New Oriental di Pechino dove è anche responsabile del progetto TOEFL (Teaching Of English as a Foreign Language) il cui scopo è quello di preparare gli studenti allo studio nelle università americane. Anche in questo caso la traduzione del testo è integrale e il volume si distingue dalle altre traduzioni in cinese per via della copertina molto simile all'edizione originale in inglese che riporta anche lo stemma degli Stati Uniti sulla banda blu. 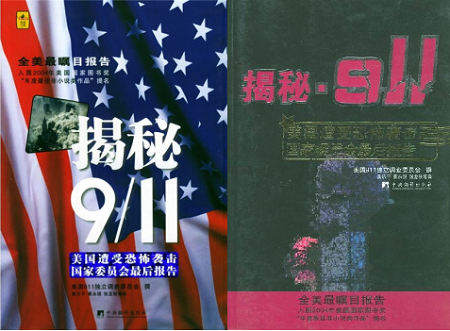 Sempre nel 2005 è stata realizzata una terza traduzione in cinese dal titolo 揭秘911 e realizzata dai traduttori Huang Leping, Yongqiang Cai e Zhang Longqiu. Come nelle due pubblicazioni precedenti, la traduzione è completa e comprende tutti i capitoli del testo originale. 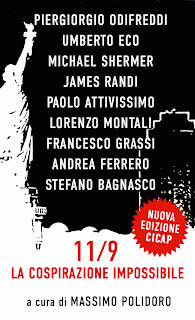 Il libro è stato stampato due volte a febbraio e a settembre del 2005 dallo stesso editore, la Central Compilation Press con sede a Pechino, con due copertine diverse. Yongqiang Cai è un insegnante universitario di lingua cinese. Dal 2002 insegna alla Renmin University of China di Pechino (una delle più eminenti università cinesi nel campo delle scienze umane e sociali), tra in 2010 e il 2011 ha insegnato anche alla Aichi University nella città giapponese di Nagoya e dal 2013 insegna anche al Confucius Institute (ente affiliato al ministero dell'istruzione cinese che ha lo scopo di promuovere la cultura cinese nel mondo) di Dublino. Cai è inoltre autore di molti volumi accademici in ambito linguistico. Non abbiamo trovato informazioni biografiche rilevanti sugli altri due traduttori.